Photographs are a blessing to mankind. They hold our most precious memories by stopping them at the moment they happen. So that every time you look at it, you get reminded of that amazing time you had with your family, the fun you had with your friends that day. Hanging them around your house is an amazing way to rekindle your happy times. Nilkamal brings to you a completely new range of photo frames that also have an LED light installed. These LEDs glow behind quotes about family and love. The frame can hold upto two pictures in it. The whole product is made up of MDF material. 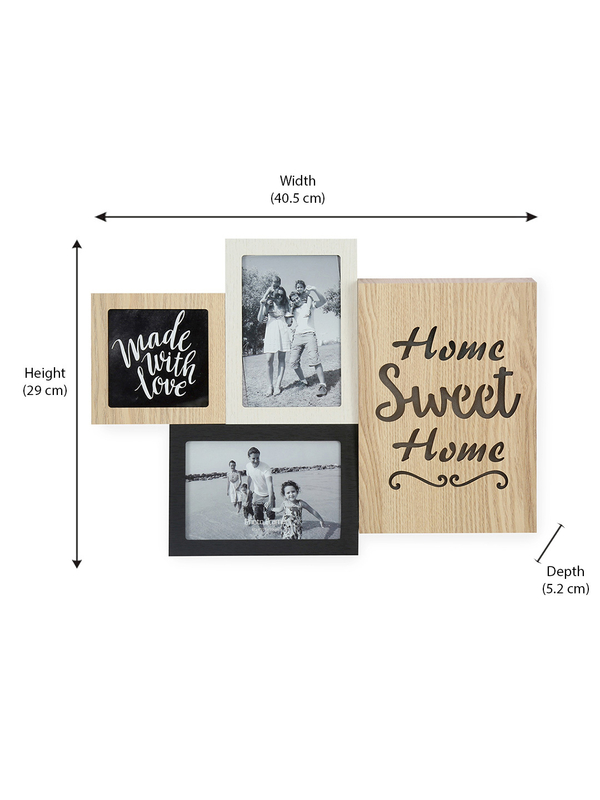 The photo frame is for purely decorative purpose and has a height of 290 mms. Photo frames are very casual household object. If you’re looking for decorative photo frames, then this is the right place to buy. These LED photo frames are exclusively found only from the @Home collection of home decor items by Nilkamal. They have some amazing decorative products as well as offers and discounts that are definitely a steal! Hurry up before they get sold out!